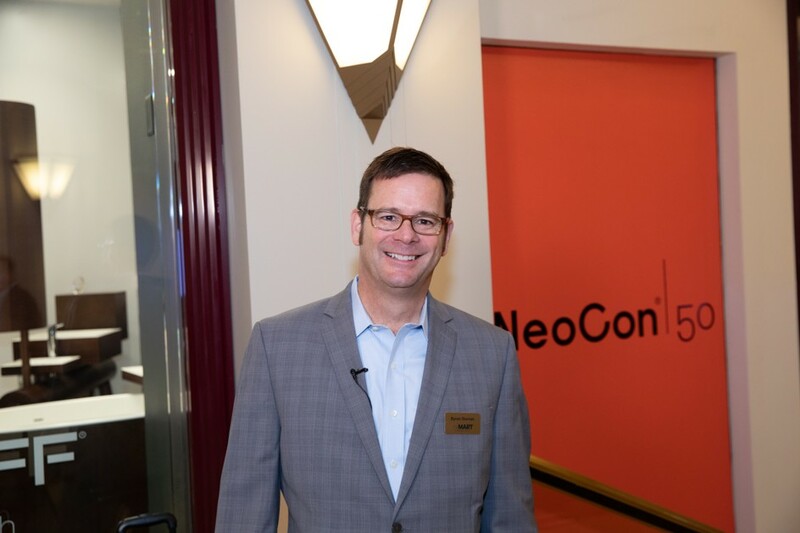 House Tipster learned about what goes on behind the scenes at NeoCon from VP of Leasing, Byron Morton. NeoCon, one of the largest commercial design shows in the world and the premier global source for contract design, is the perfect place to learn about new technologies, innovations, and products for the industry. But there’s a lot going on behind the scenes before the 500+ companies and 50,000 design professionals descend on The Mart in the heart of Chicago for the three-day-long event every June. Thankfully, House Tipster had the opportunity to get an insider’s perspective on NeoCon courtesy of acclaimed designer and trade show expert, Christopher Grubb. 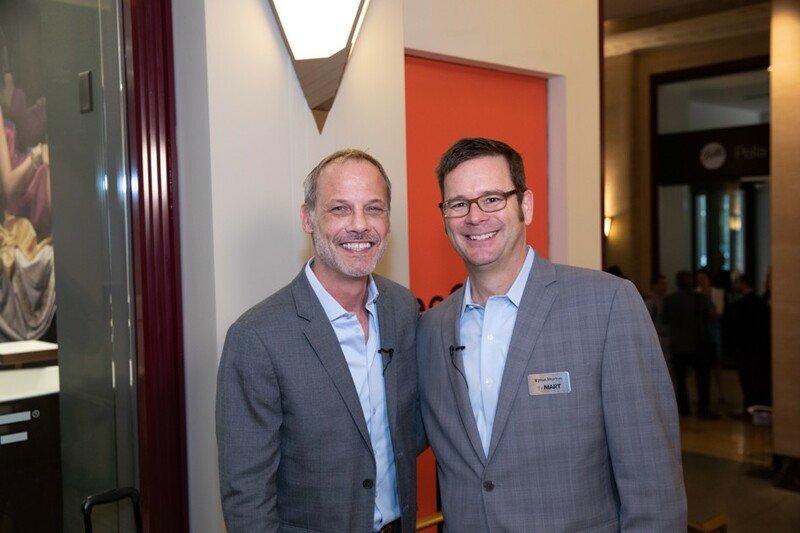 Christopher spoke exclusively with Byron Morton, VP of Leasing, to learn more about the inner happenings of NeoCon. According to Byron, NeoCon, as we know it today, started back in 1969, and it has grown to be the platform for the commercial furnishings industry. “You can find everything from furnishings, to fixtures, wallcoverings, floor coverings, and technology-- anything for the commercial-built environment,” he told us. These products are for all commercial industries such as hospitality and healthcare, all the way to institutions and education. But NeoCon wouldn’t be what it is today without a fire. Christopher and Byron chatted about the fiery catastrophe of 1967 at McCormick Place, which canceled the once-popular International Exposition and Congress for Contract Furnishings. To keep the event going, organizers moved it to The Mart. After two years, the name of the event officially changed to NeoCon. Christopher Grubb is no stranger to contract (also known as “commercial”) design, and he’s noticed the vast changes that have been made in the industry over the past decade or so. Byron mirrored the sentiment, explaining that “the office isn’t referred to as the office anymore.” Before, everyone had an office or a cubicle where they worked, but modern workplaces require more. “Now, we’re focused on workplace design where there’s a place for every type of work. This means that here at NeoCon and in workplaces around the world, you’ll be seeing more collaborative spaces, desking and benching, privacy pods, and even places that promote health and wellness. Sure, there’s been a focus on sustainable and environmentally-friendly products throughout the design industry for the better part of the decade, but today’s workplace design is all about promoting our wellness via the work environment. “The whole evolution [of the workplace] is really amazing. There’s such a consciousness in the market,” Christopher noted. This is likely because we’re all simply spending more and more time in our workspaces, and therefore, they must be comfortable. Above all, NeoCon is all about bringing forth ideas that promote synergy and establish a human connection. Our House Tipsters media team saw it firsthand as we walked through the showroom floor. “Human connection is what it’s all about,” Byron reiterated. To learn more about NeoCon and make plans for June 2019, check out this website.